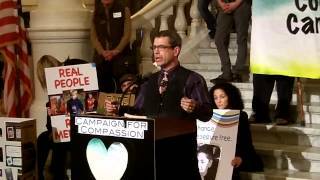 52 years old hemp entrepreneur, owner of Hempzels.com, member of the Libertarian Party of Pennsylvania since 4/20/1992. Presently LPPA State Chair. Working to be the first elected Libertarian Congressman in U.S. History. Interested in renewable agriculture, opponent to Eminent domain, married to Corinne with a daughter in public education 4 th grade. Student of history, Bachelor of Science Degree in Computer Information Systems, DeVry Institute, Columbus Ohio. Born Coatesville, PA High school graduate class of 1982 Octorara Area. Shawn is not following anyone yet. If we end the war on drugs we can help our "Peace Officers" focus on violent criminals, real predators. After driving from Michigan the night before I was able to address the gathering the the Rotunda that if the Democrats & Republicans didn't get their act together to help those who need Cannabis than the Libertarian Party would.